Nice meatloaf. Looks so yummy. Congrats on submitting your thesis! I haven't had meatloaf in forever... But Laurent is saturated with it, because his father used to make it in giant batches and they would eat leftover meatloaf for days. Still, maybe with a new recipe... It sure looks tasty! Congratulations on the submission of your thesis. Meatloaf has been and continues to be a favorite dish for me. I found a wonderful meatloaf recipe in a Mario Batali cook book called: Molto Italiano - 327 Simple Italian Recipes to Cook at Home. (ISBN: 0-06-073492-2) The meatloaf is so amazing. 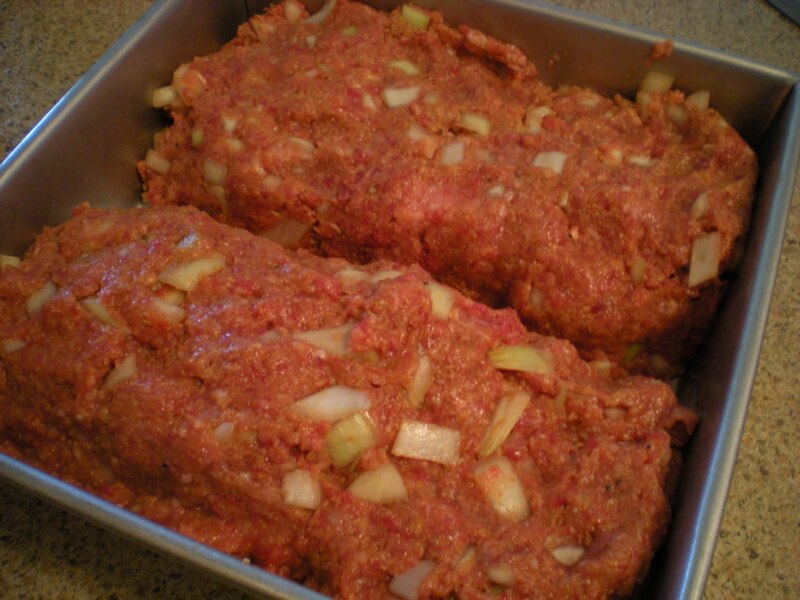 Of course no matter the recipe, to me the best attribute of meatloaf is the ability for a cold meatloaf sandwich the next day. I'll keep an eye out if you make it. Would love to know how you and your friends liked it. @Valérie and Larry: It's the first time I ever made meatloaf, it is good to know that it can store for leftovers. I'm more into food, but I must congratulate you for finishing your thesis. Making meatloaf is a good way to celebrate. Congrats on the thesis! 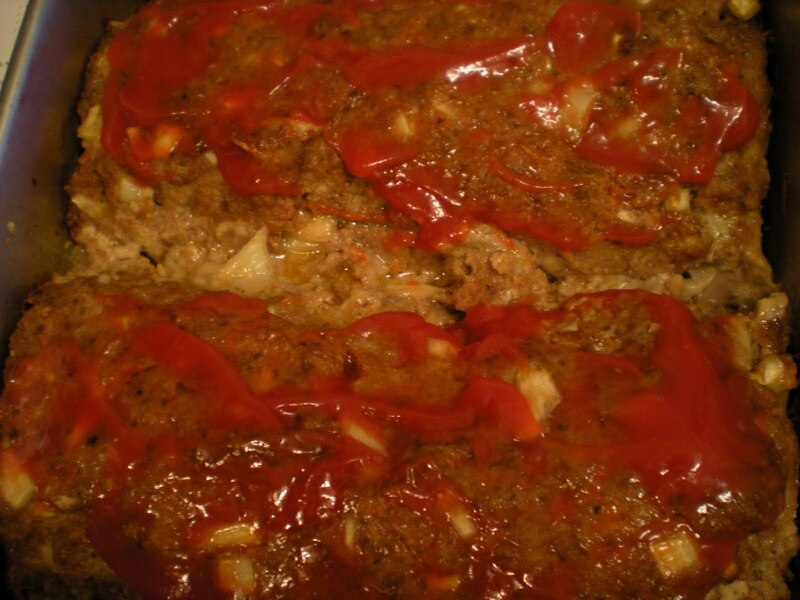 And yes meatloaf certainly brings back childhood memories for me. great job. Congrats on the thesis. I love the Willam Sonoma cookbooks. They're really solid and I don't think I've ever gotten a bad recipe from them. Congratulations on handing in your thesis! I remember the summer I handed mine in - the freedom I felt was amazing! The meatloaf looks great. It is truly the perfect comfort food. Congrats on getting your Master Thesis done! This looks amazing, when me and my sister had meatloaf when we were growing up we never appreciated (in fact she hated it) but now I think the odd meatloaf would be amazing. Warming and definitely comfort food! Your meatloaf looks good too! 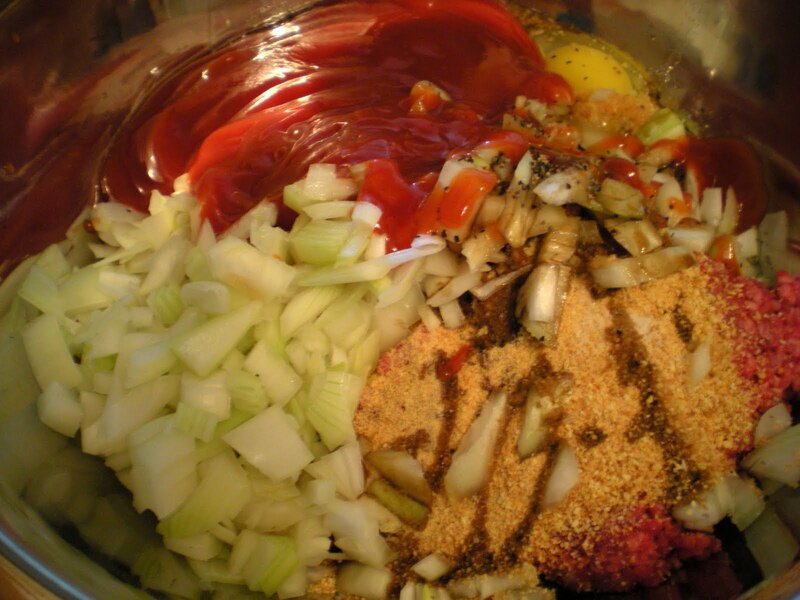 I think my kids would complain about the big onion chunks so I would have to chop them really small. When we do meatballs we often mix pork and hamburger. I like that combination but I have never tried it for meatloaf. Have a fantastic day!